Steve Wynn will not be getting a severance package. The Wynn Resorts founder and CEO resigned last month after numerous women accused him of sexual misconduct. He would have been owed hundreds of millions in severance had he been fired. But Wynn agreed to leave without a golden parachute. No bonus. No severance. No compensation of any sort in connection with his resignation, according to a statement Wynn Resorts filed to the SEC on Friday. The agreement also says that Wynn has to leave a villa he lives in on the property of the Wynn Las Vegas no later than June 1, and that he will pay rent for the property until he leaves. The agreement also states that he'll keep his health insurance through the end of the year and administrative support until the end of May. 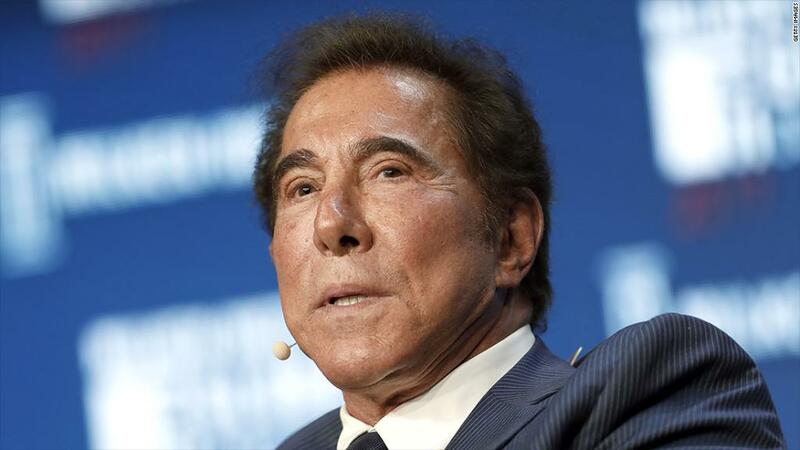 He'll be barred from competing with Wynn Resorts for two years, and will also be required to "provide reasonable cooperation" in any litigation brought against the company. Still, Wynn is walking away with 12.1 million shares of the company's stock, worth about $2 billion. It has lost about $443 million in value since the allegations became public. He cannot sell more than one third of those shares in any one quarter. He has stated he has no intention at this time to sell shares. Shares got a brief lift upon news of his departure last week, but soon gave back those gains. Wynn was paid handsomely as CEO. The company has yet to disclose his pay package for last year. But his total compensation for 2016 came to $28.2 million, and over the last five years of reported income his total compensation came to $111.6 million. Wynn had a contract with the company that would have kept him employed as CEO and chairman through October 2022. It would have paid him nearly $250 million had he been dismissed from the company "without cause." Laurent Potdevin, who headed athletic clothing company Lululemon (LULU), received a $5 million exit package just this month after he was dismissed for violating a company "conduct policy." Details of that misconduct have not been disclosed. Wynn resigned as chairman and CEO on February 6, following a January 26 story in The Wall Street Journal describing a series of allegations of misconduct by Wynn involving female employees of the company. Wynn has denied the allegations and called them "preposterous." But he said in his resignation announcement that given the publicity about the allegations made against him, "I have reached the conclusion I cannot continue to be effective in my current roles."